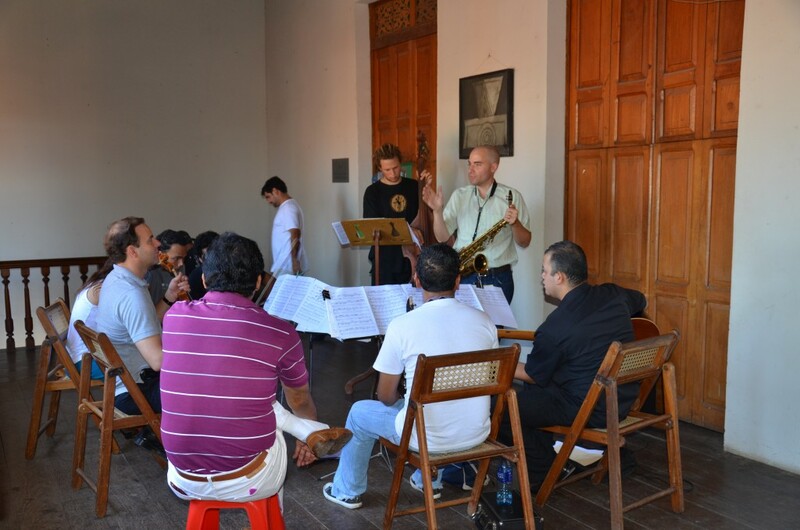 I just enjoyed one of the most inspiring performance and teaching residencies of my career at a school in Granada, Nicaragua. 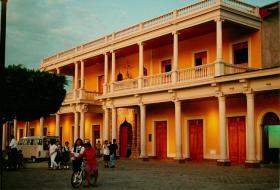 Casa de los Tres Mundos is an integrated arts school and institute in the heart of downtown Granada. 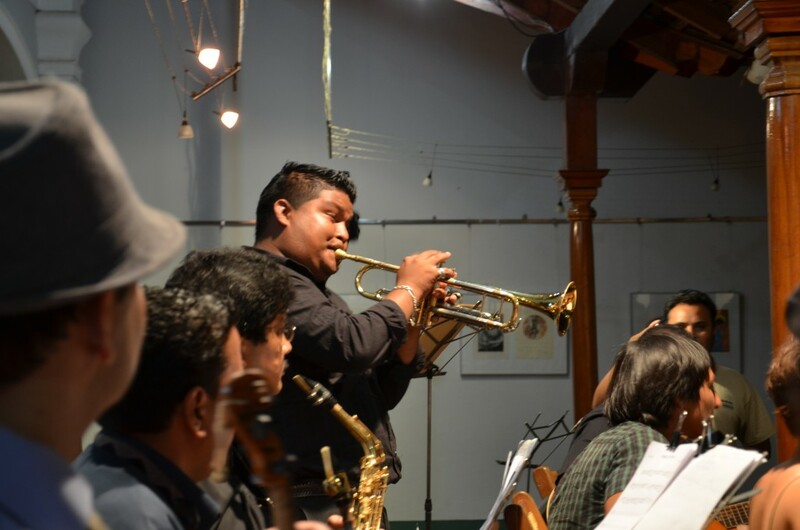 As you wander the gorgeous and ancient colonial building that houses Tres Mundos, you will see inspiring visual art being created, hear smart radio from their resident station, and witness performing arts of almost every kind. 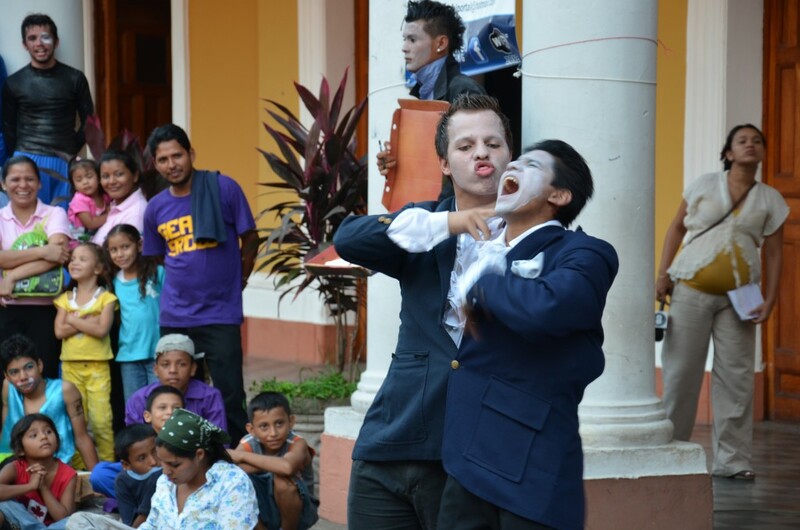 One night while walking by the school I saw a comedy/circus troop doing aerials, stilts and mime work in the front entry of Tres Mundos. A large crowd had gathered to see their funny and challenging work. I learned later that the troop began at Tres Mundos as a creative outlet for homeless youth. Another day, I saw the Tres Mundos Institute research staff hard at work. It was fascinating to learn about their groundbreaking research into the causes and affects of Nica migration to Costa Rica, the U.S. and other parts of the world. The walls at Casa de los Tres Mundos are thin and most doors are left open. You can’t help feel the energy of what others are working on. Even during the slow time of winter break, the air was filled with enough creativity to inspire the dullest of souls. I was honored to be invited by Tres Mundos to work with faculty and students on jazz and improvisation. For many involved, this was their first time playing the blues, swing or improvisation. To my delight, timing my residency during winter break meant only very dedicated students enrolled. All the artists worked together well to learn new material and challenging methods. Word of our work spread and by the end of the course, our group had grown to include: 4 violins, 1 flute, 3 guitars, 1 trumpet, 2 saxophones, 2 keyboards, 1 cajon, and 1 upright bass. We ended the week with a concert featuring the student and faculty improvisers playing standards, experimental improv and the debut of my song, Samba Azul. 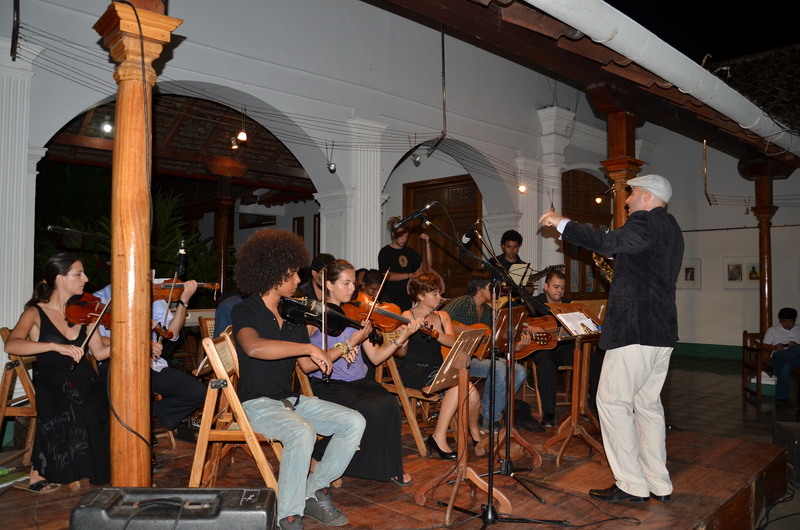 I am particularly grateful to the Embassy of the United States in Nicaragua for funding the cultural exchange and Johannes Kranz of Tres Mundos for his work coordinating the effort. 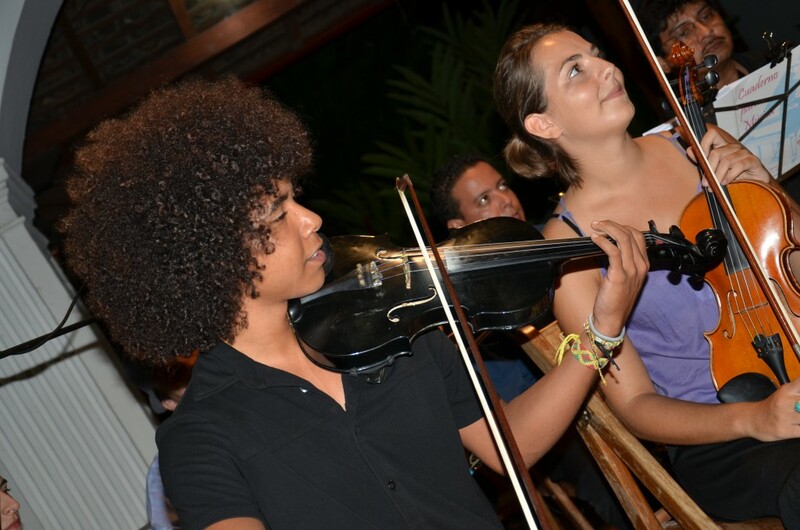 Muchas gracias to guitarist Derick Narvaez, violinists Mireia Clua and Eva Weissmueller, reeds man Norlan Santana, pianist Milton Maldonado and bassist Raffael Schwarzacher for their help during classes and great musicianship. 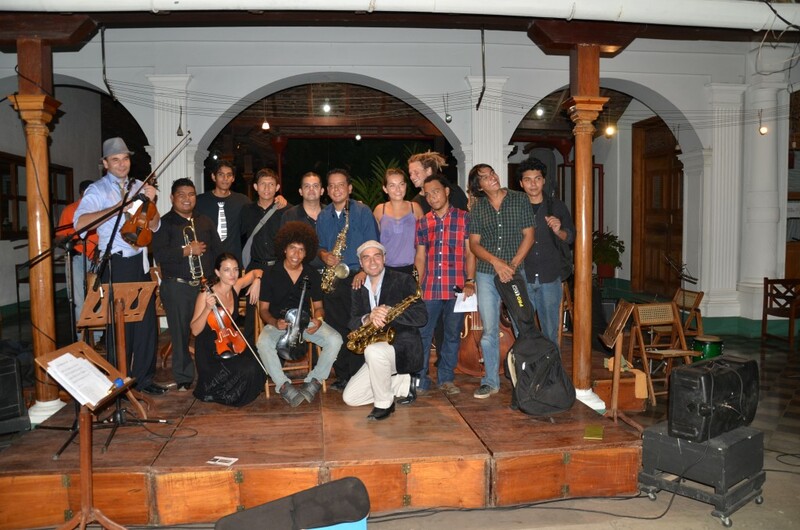 I hope to return to Granada soon and make more music with the inspiring artists of Casa de los Tres Mundos! What a great and enriching experience this must be for Rulon and those who participate. There’s no better endeavor than making music and art, especially in a form so expressive and ennobling as Jazz. Keep up the good work!